Family Game Night with Gamewright at Eight Cousins bookstore in Falmouth Village from 7 pm until 9 pm. 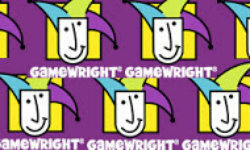 Come join in on the fun for their annual Family Game night with Gamewright Games! Games are appropriate for all ages, including elementary school, middle school, and high school. “guided by themes and experiences that transcend age and salted with a bit of irreverence, our games are designed to foster laughter, learning, friendship and fun,” teach everything from numbers to patterns, critical thinking, strategy, and how to talk like a pirate. An experienced gamer will be on hand to teach, play, and provide suggestions for family game nights. There will also be prizes and giveaways throughout the evening. Stop by, claim a table, and try out Mermaid Beach, Zeus on the Loose, Sleeping Queens, PDQ, Hiss, Slamwich, Castle Keep, and other fantastic Gamewright offerings! Prizes! Giveaways! You bring the family and Eight Cousins will provide the games! Have you attended this happening?